Our Little Rainbows freestanding junior partition is available in 2 sizes and the panel can be used in either a landscape or portrait format. The panel is covered both sides in fire retardant felt which comes in a choice of 4 colours - grey, blue, red and green. The frame is in harlequin colours - red, blue, yellow and green - with rounded safety corners. 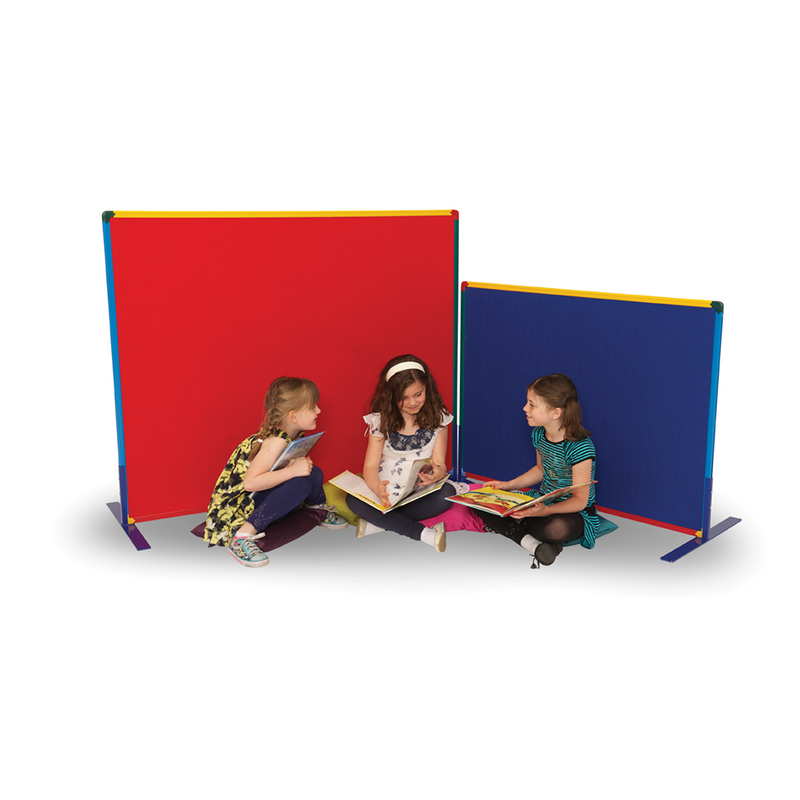 This room divider can be used with pins or velcro so the partition doubles up as a display board. See our full range of screens. For more information Contact Us or call us on 01733 511121.